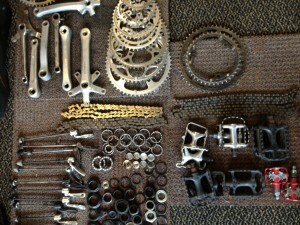 Jon Erickson is doing something incredible with bicycles. 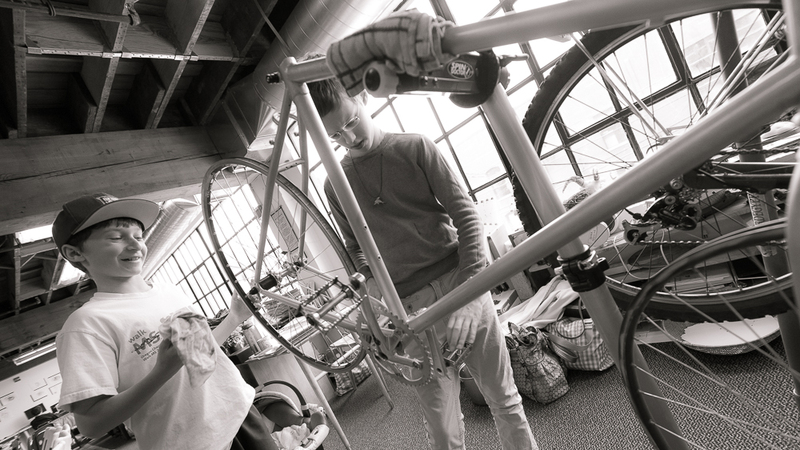 As a middle school teacher at Metro Montessori, he is using bikes to teach math and science to his students, helping them run their own business and become a mobile classroom. Jon heard about the Community Cycling Center through friends when he first moved to town, so he started coming to Salvage Sundays. 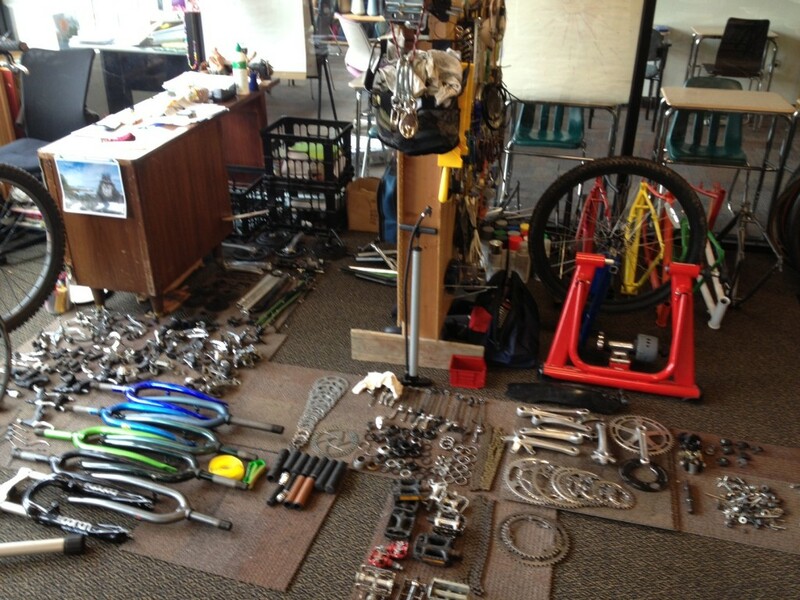 During Salvage Sundays, we sell used bike materials that we can’t utilize in the bike shop for 50 cents per pound. Metro Montessori is a new school with a budding bike culture. 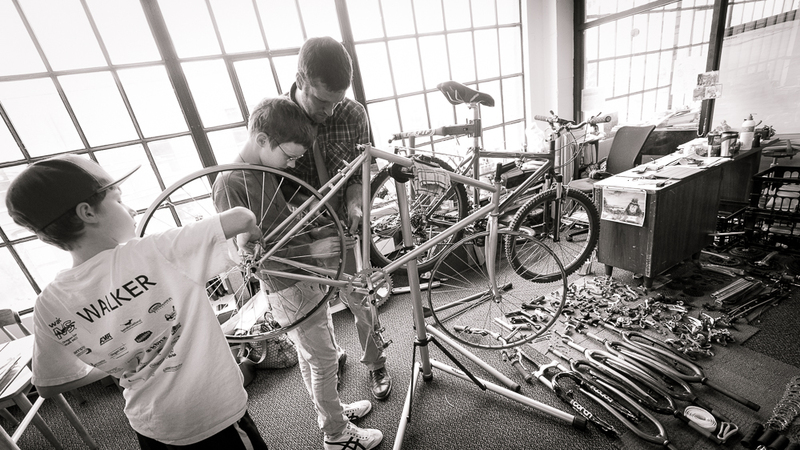 When his head of school encouraged Jon to develop a bike-centric curriculum, he began buying used parts from the Community Cycling Center and bringing them into school. Montessori uses something called “occupations” to provide a project-based learning experience to students. 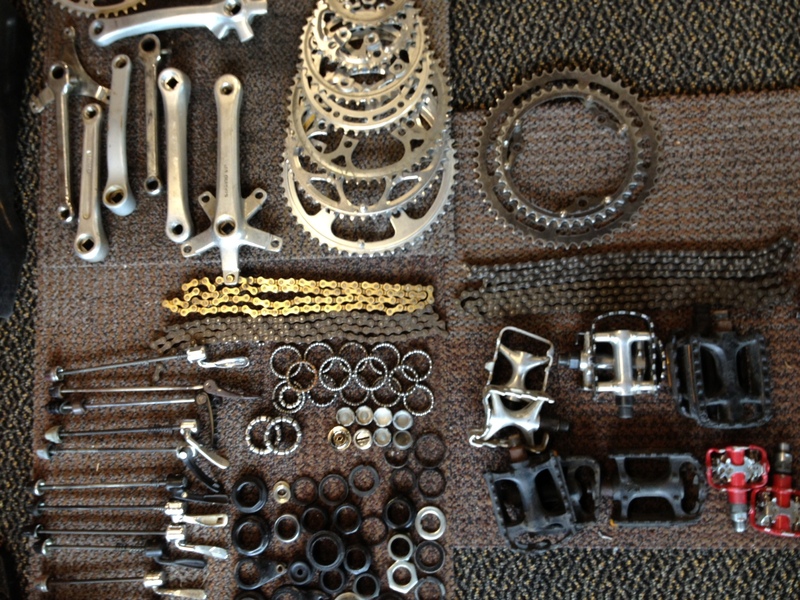 Jon created a bicycle occupation using their classroom bicycle and the parts he purchased from Salvage Sundays to teach lessons in science, math, and creative expression. The bicycle is a great way to teach lessons like rotation inertia, torque, simple machines, transfer of energy, and mechanical advantage. As part of the occupation, Montessori middle schools try to familiarize students with the ways we earn and spend money as a society. Jon’s students run a small business offering basic bike repairs to their community, which they learned how to do on their salvage bikes. 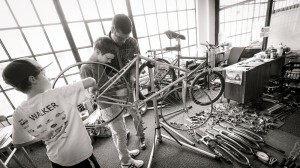 They are using their skills to build up the 11 bike frames they have into functional bicycles. Each student will even have the opportunity to design their own logo for their bike and name it. Next year, the bikes will allow Jon’s students to become a mobile classroom. Jon said the kids who are graduating this year are really disappointed to miss out on the field trips that the fleet of bikes will afford, but that they are excited about leaving a legacy of bicycles for future students to ride. Thank you, Jon, for sharing your story with us. We are excited to see how bicycles are empowering your students in the classroom. To take advantage of our Salvage Sunday Sales, stop by the shop on Sundays, anytime between 12pm – 2pm.